FireFlex Yoga, is a functional-movement-based-yoga-program that integrates best practices in mind-body therapies together with the most widely-used movement assessment screen. The Functional Movement Screen (FMS) addresses dysfunctional movement patterns that may result in injuries for firefighters. Currently strains, sprains and musculoskeletal disorders comprise over 55% of firefighter injuries reported nationally. These types of injuries are preventable with a fitness program that focuses on functional fitness. 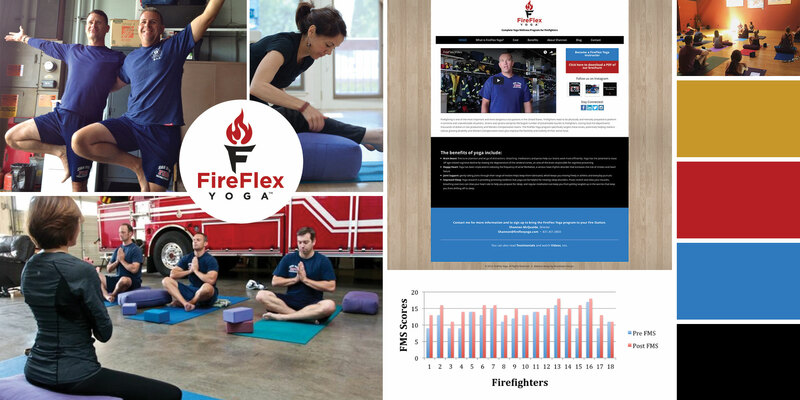 FireFlex Yoga uses the FMS to inform yoga postures that support firefighters to develop the functional fitness in order for firefighters to respond effectively, safely and routinely. FireFlex Yoga also incorporates deep breathing exercises, mindful meditation techniques and somatic practices to reduce stress, anxiety and release trauma from the tissues.